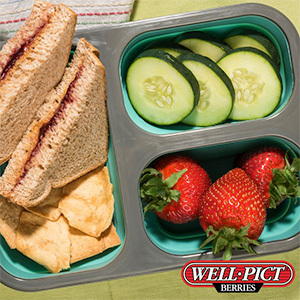 Slip Well•Pict in your lunchbox for healthy, happy meals away from home. 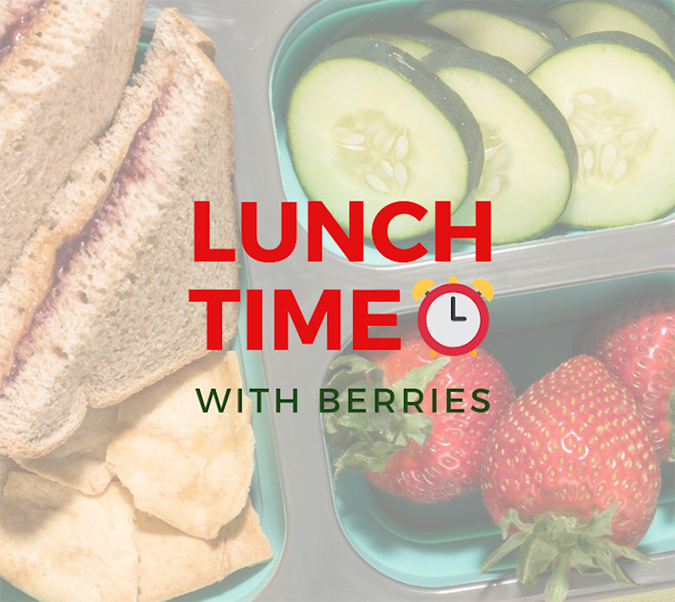 Lunch time meals are always a challenge, whether you’re trying to prep healthy and efficient snacks for your children or just trying to get yourself through your own workday. Here are some of our favorite recipes that are portable and quick, perfect for bringing into the cafeteria or the office kitchen. 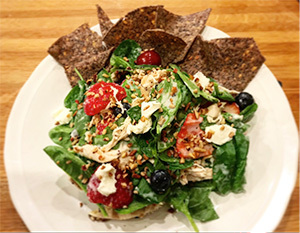 In addition to the strawberries that help boost the flavor, this chicken salad from lewisherald.com also has a tangy poppy-seed dressing to help liven things up. We recommend mixing everything together but the spinach, then shaking it all up in a Tupperware container right when you’re ready for lunch. Crunchy and delicious. 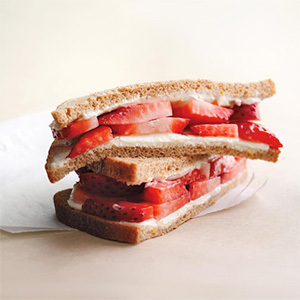 There are lots of different strawberry sandwich recipes on the internet, ranging from grilled cheese style undertakings, to tea sandwiches, to Nutella or dessert-style offerings. Here is a simple cream-cheese version From Eating Well that is quick to make and great on the go. These wraps are sandwich-adjacent, and just as easy and satisfying as their bread-made friends. 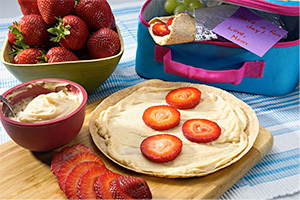 We are partial to the combination of peanut butter and strawberries used in the original recipe, but almond or other nut butters can certainly be substituted in the case of allergies or preference. 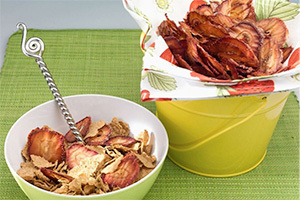 Much healthier than fried corn or potato chips, and something a little different that what folks are used to, our baked strawberry chips are super simple to make and super easy to transport. The hard part is stopping at just one serving. A snack that’s good for lunch or anytime, really, this is one of those recipes you should learn now and then just utilize every so often for the rest of your life. 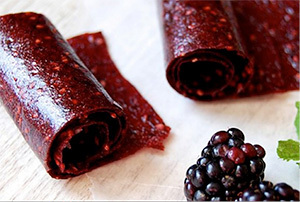 Making your own fruit leather is ultimately cheaper and healthier than store-bought versions. And you (or your kids) can brag about how resourceful you are. Another route you can go wrong with is packing our berries by themselves, or tossing them in a salad with other fruit and/or vegetables. 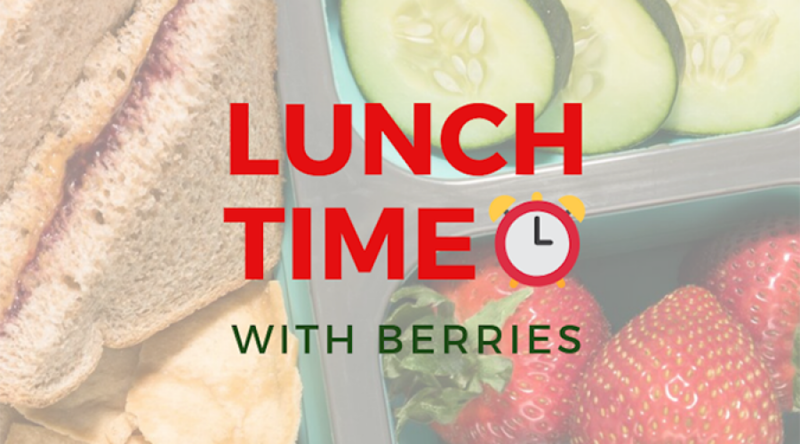 Whether you’re pairing our strawberries or raspberries with melons and cantaloupes, apples and pears, or even cucumber and onion, Well•Pict Berries are a happy-to-find item in anyone’s lunch bag.